Vertical palm leaf tree. Hello summer vacation poster. 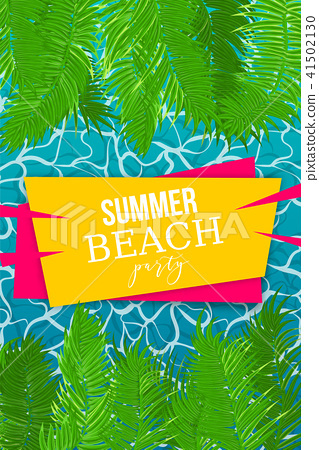 Sea water pool waves vector background illustration. Travel tropical relax spa banner. Clear underwater template.